The CD series Colección 78 RPM published by Buenos Aires Tango Club under the name of Euro Records are well known for out-standing quality - until now? This month's newsletter became quite extensive. There is lots of news about CTA-CDs, new releases, special newsletter offers, and new cover and tracklistings of rare out-of print CDs. It also includes a "sneak preview" of the long-awaited Francisco Canaro collection of 129 CDs. 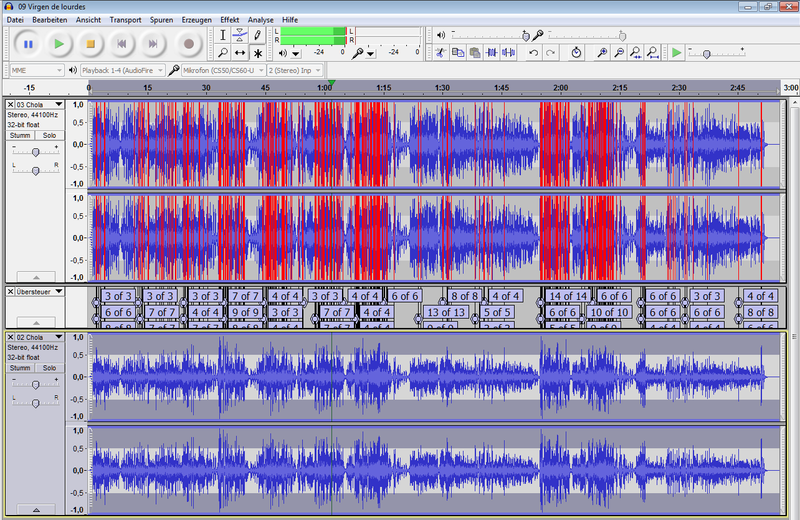 It will take some time until I listened to and corrected all of it, but you will get an idea of what's there. Small compared to the Canaro collection is the Firpo collection with 31 CDs. As far as CD-reviews are concerned we will take a closer look at the latest releases of the Colección 78 / 8 RPM series and present the unexpected solution of a question about a curious version of a Francisco Canaro recording that has puzzled some of us for the last two years. Thank you very much for your attention, I hope you enjoy this month's newsletter. I'd very much appreciate your feedback and comments on the presented content. In case you know somebody who might be interested in this newsletter please recommend it or place a link to Tango-DJ.at. Lovely, mixed, welcoming tango marathon and one of my favorite events. It's rather a combination of 4 super long Milongas in sequence, lasting for 4 days. Because of the discussion I had with some people I do see the necessity to point out that my article "Groundbreaking new offer for renting your personal Tango-DJ" of my last newsletter in April was meant to be an April Fool's Day joke! Funny (or sad) enough, even when trying to exaggerate each given "service-idea" ridiculously I have to admit that I did experience all of it in real life already. To this effect, some people took it seriously and asked about details of the planned DJ-database.. So, I am sorry, but I do not plan to build up a database for your personal Tango-DJ doing anything for near to nothing! I rather play with the idea to build up an organization to support Tango-DJs working with legal music to establish a minimum recommended pay for their services! There is lots of news regarding CTA! I received another large delivery and due to a better purchase price I am able to offer special prices here for you in this newsletter and reduce some of the list prices on my website. You can get some of those original CTA-CDs imported from Japan for as low as 39,- EUR! And almost 200 original CTA-CDs are kept in stock for you to choose from! I am very excited especially about the OTV Vol. 18 and the Canaro Vol. 17! Of course I will try to get as many as possible of those for you! From my experience with previous new releases those CDs will most likely become available in August..
With this large delivery from Japan I was able to compile those new CTA-CD packages. Some of those CDs are out of print already. Get them before more CDs go out-of-print which will be reflected in a price change. Together with this large delivery I was able to get hold of some rare out-of-print CTA-CDs. You can find their cover and tracklisting information on the CTA-catalog page. AMP CDs are already more difficult to get than CTA-CDs, and it is getting worse. The son of Oiwa-san seems not to be interested in continuing to produce and/or offer AMP CDs any more. So for now it seems that the last stocks of AMP CDs are being sold and it is already very difficult and uncertain to get some of those remaining copies. At the moment I keep a few copies of the most interesting albums in stock and I try to restock as many as possible with my upcoming order. If you are interested in any of those I would suggest to get them as soon as possible because they will be gone soon! You can take a look at the tracklisting and listen to some sound samples on my webpage of AMP catalog and AMP CDs in stock. Back in 2010 I heard of compilations made by an Argentine collector. Back then some DJs here in Europe "discovered" the meanwhile well-known and beloved recording "Invierno". Trying hard to find a source for this recordings (other than some download blogs offering bad mp3s) I came across those compilations. I found "Invierno" on a CD called "Francisco Canaro Vol. 89 - Sello Odeón". To be more precise - it is not a CD, but a compilation burnt on CD-R. Since the title indicates Vol. 89 I got curious about possible other volumes. I tried to get the rest of this collection starting in February 2011. With lots of help of good friends and pushing my order every two weeks all 129 CDs featuring 2300 recordings by Francisco Canaro were completed exactly a year later. At the moment I am working hard to correct and listen to all tracks. (I am done with tracks starting with A-D..) Reference for correcting missing or possible wrong information given on the CD covers is Christoph Lanner's Francisco Canaro Discography. If you can't wait to see what can be found on those CDs you can take a look at a preview list of those CD listings on my webpage Various Collections - Francisco Canaro which still is work-in-progress at the moment. What I can tell by now: Also this collection is not complete. There are still recordings missing and I have found already some recordings on CTA and AMP CDs which are missing on that collection. Anyway plenty of unknown and otherwise not published recordings can be found on those compilations! Lots of people will be in for a surprise at upcoming Milongas I am going to DJ when they hear great Canaro recordings for the first time! Together with the huge pile of Francisco Canaro compilations I got 31 CDs of Roberto Firpo. I had no time to take a closer look at those, but given the rare content on the Francisco Canaro CDs I expect to find some hardly known Firpo recordings on those as well. However, you can find a uncorrected preview listing on my webpage of Various collections. The CD series Colección 78 RPM published by the Buenos Aires Tango Club under the name of Euro Records are well known for out-standing quality - untill now? Those were professionally produced CDs, most of them being must-haves for every tango DJs and most of the tracks on those CDs belong to the best transfers you can find. I did not pay too much attention to those details in the beginning. I was way too excited to receive those new releases of this great CD series. But then I started to listen to the transfers on those CDs and very fast I found something to be very disturbing. It was like something was hurting my ears all the time. This was when I started to compare recordings from these CDs with other releases as well as comparing the sound characteristics of those latest releases with previous Colección 78 RPM CDs. This is when I found out that something must have changed dramatically to the worse. 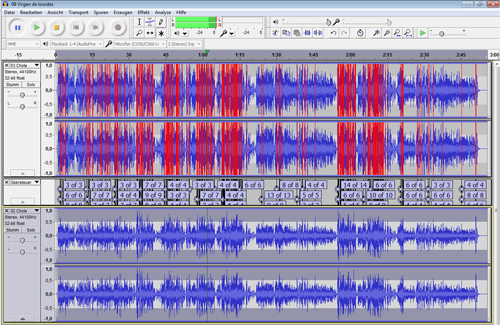 This Audacity project shows "Chola" taken from Pura milonga - Francisco Canaro 1932/1934 - Colección 78 RPM (EU-17049) being analysed for clipping (red indicators and clipping samples in numbers) in comparison to "Chola" taken from the BATC-CD Francisco Canaro 1932 "Fenomeno" - BATC (orq 308)! This was when I really was shocked. The difference in quality of this track Chola between the "old" BATC ORQ-308 and the brand new release on EU-17049 is massive! For me there is nothing I'd use on those new releases. According to the information given on the back cover Sony music was involved until EU-17047. On later releases Sony music is not mentioned any more and soon after quality got worse like described. So a possible explanation could be that previous releases were produced in cooperation with Sony music whereas latest releases were done by BATC itself. As far as I am concerned I won't get any more of those new releases of Colección 78 RPM unless somebody can report changes to the better. So my recommendation is to get Colección 78 RPM until EU-17048/EU-17048, the old ORQ-series or even better original CTA or AMP CDs. Back in 2010 Claus Rueffer asked me about a curious version of "Cuando estaba enamorado" by Francisco Canaro he had found. Comparing this strange version with the regular ones one can find a piano part within the first seconds which can not be heard in any other version. But it was definitely the same recoding and orchestra performing. 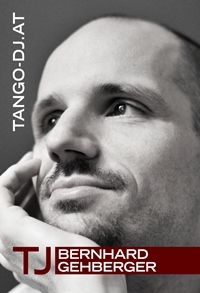 Christoph Lanner's Canaro discography listed only one recording and no additional takes. So on the one hand there was this track having a piano part in the beginning while other recordings had no piano and on the other hand there is no evidence of at least two takes of this recording. None of us could find an explanation for this problem. Was there an unknown take missing in the discography? And if so - where is the origin of this version - where does it come from? While listening and rechecking my new Canaro recordings I came across this curious version of "Cuando estaba enamorado" again. Since I now try to sort out as many uncertainties as possible I rechecked this version. The tag said that this version comes from one of Keith Elshaws ToTango restorations. So as a last attempt to sort this problem I thought let's ask Keith, maybe he has some information about the source of this strange version. I got reply the next day and guess what? Sometimes a solution to a seemingly huge problem is so easy..
News CDs are in stock and on offer for Reliquias and Juan D'Arienzo - Homenaje Sony BMG a El Rey del Compás 70 años on my CD in stock page. In addition to that there is a massive update of high res cover scans for various catalogs. You now can click on any front, back or inlay cover and see a readable high res version of it. Updates were done for: Reliquias, Juan D'Arienzo - Homenaje Sony BMG a El Rey del Compás 70 años, BMG/Tango Argentino, Colección 78 RPM, Archivo RCA, Archivo Odeón, Archivo "TK".